The strange 600-year history of the Royal Menagerie at the Tower of London. From a polar bear who fished the Thames nightly for its dinner to elephants that drank only wine, the inhabitants of the southwest corner of the Tower of London were a strange and rowdy bunch. No less strange was the cast of characters that visited them: William Blake, Chaucer, and Samuel Pepys, to name a few. 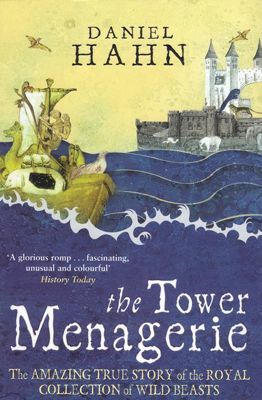 Daniel Hahn's fascinating history of the Tower of London menagerie tells the story of the thousands of exotic creatures who found a home in one of the world's most forbidding and infamous fortresses.